Months after President Trump declared a national crisis and shut down the government for 35 days, the Pentagon approved $1 billion from a military personnel account to build a 57-mile fence on the southern U.S. border. The 18-foot-high construction project will be erected within the Yuma and El Paso Sectors. Despite objections from lawmakers, Trump was able to bypass Congress and redirect the money, breaking the customary legislative procedure on Capitol Hill. Congress was made aware of the executive order late Monday. In a last-ditch effort, the House of Representatives failed to override President Trump’s veto on a congressional resolution blocking his emergency declaration. The Democratic-controlled House came up short of the necessary votes, with fourteen House Republicans supporting the measure, but not enough to reach the two-thirds majority needed. Families around the country, meanwhile, continue to be affected by Trump’s anti-immigrant practices. Cecilia Garcia, a family reunification specialist, is one of many people who advocate for legislative policies that aid immigrant communities on a state-level. Garcia’s story was covered by People’s World in 2017 during the “Day Without An Immigrant” protest in Chicago. The mother of five has been fighting to reunite her family for seven years, ever since her undocumented husband was deported over a minor traffic stop violation. The decision to allocate funds to the Department of Homeland Security and Customs and Border Protection is largely being viewed as a political distraction. 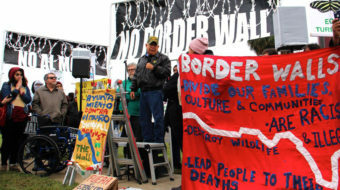 “It’s a show for racist Americans,” says Garcia, “It is Trump’s way of saying I don’t care about the Senate, I’m building a damn wall.” The 57-mile fence will only cover a fraction of the 1,933 mile border, an excessive cost for an unnecessary and incomplete project. Trump’s 2016 presidential campaign was largely centered around his promise to “build a wall” and tackle the issue of undocumented immigration. At one point during the campaign, he claimed that Mexico would be paying for the wall. After many failed attempts to negotiate with Congress over the funding of the wall, however, Trump has now resorted to utilizing his executive powers. 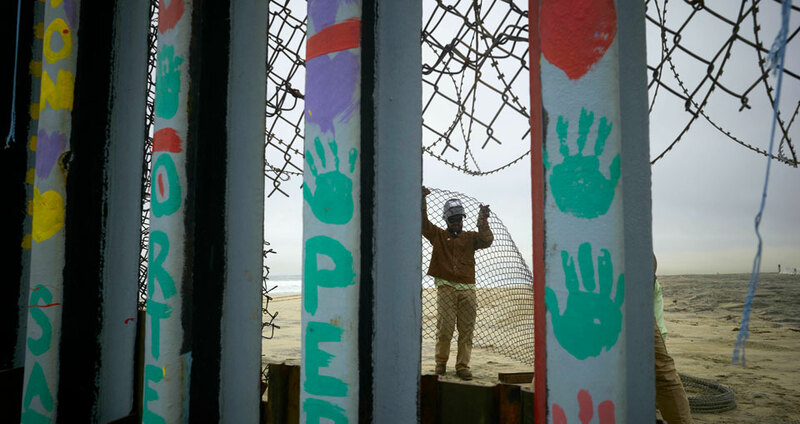 Although tens of thousands have applied for asylum in the United States, the estimated number of undocumented immigrants living in the U.S. reached a 12-year low in 2016. The decade-long decline continues to steadily fall, a fact that makes the $1 billion border fence an even more absurd investment. For the 2017 fiscal year, it was reported by the Department of Homeland Security that 701,900 immigrants overstayed their visas and remained in the U.S. past their expected departure date. This is more than double the number of undocumented immigrants that were apprehended at the border. This pattern has remained consistent for years. It is not entirely clear whether Trump will be able to start construction of the fence just yet. He may have to wait for the resolution of a number of lawsuits filed by Democratic state attorneys general. In the meantime, the National Emergency Act allows for a resolution of disapproval to come up every six months, and Democrats say that they intend to bring it to another vote when the time arrives. This marks the first use of Trump’s veto power and will inevitably set a dangerous precedent for an escalation of the administration’s authoritarian tactics. 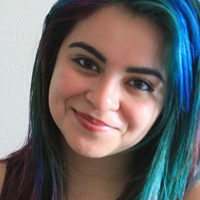 Michelle Zacarias is a staff writer at People's World. A graduate of the Univ. of Illinois in Urbana-Champaign, Zacarias has invested her time in raising awareness on issues of social justice and equality. She has written and conducted research in several parts of the world; most recently Ho Chi Minh City, Vietnam, where she presented on disability awareness at the U.S. Consulate. Michelle self identifies as multi-marginalized: as a Latina, a woman of color and a person with disabilities. She considers her experiences a privilege, one that she hopes to use as a platform for spreading socio-political consciousness. In her spare time Michelle enjoys drinking pricey wines and watching old school zombie flicks.